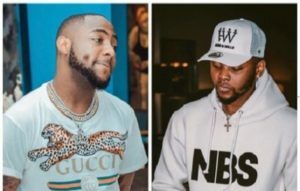 After news circulated the media earlier today about Davido slapping Kizz Daniel’s manager; Tumi, people have been waiting to get a response from Davido concerning the issue. 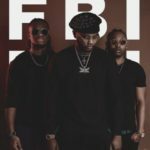 Their requests have now been granted as Davido took to his social media to clarify the issue. 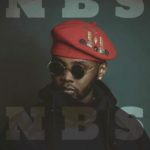 He said there are lies in the accusations pointed to him by Kizz Daniel’s manager. He said he feels pained as he never touched the Tumi and that he wants him to tell the truth. Why do i feel davido is lying. so u want us 2 believe dat kizz manager falsely accused u. Wow davido clap 4 urself. 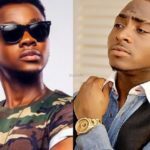 I really like wat kizz did he left the show quietly real men don’t talk too much Davido is still a child. 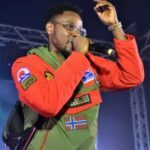 kizz daniel is more matured dan obo he didn’t cause trouble at d event. davido thinks dat d end is not over yet. Tooxclusive. You guys are too cheap abeg. How much davido dey pay una sef? Mumu people. Davido dis davido dat. Davido go soon dey feed una papa with food for village. Animals. With all these. 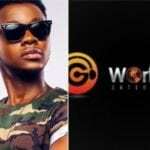 Wizzy still be him baba now ????. Awon Oloshi tooxclusive. 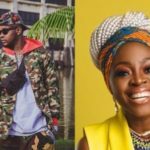 even if he did slap her as she claims,what will all of ya do to em mchewwww,do ur tin obo no man daubt ya. even if he did slap her as she claims what will all of ya do to em mcheeww. it is out of annoyance;abeg make una settle!